Welcome to Mariposario Montezuma Gardens, Butterfly Brewing Co. and Cocina Clandestina! Come visit our hill-top jungle-brewery-butterfly-garden by the sea. Once you arrive, your concept of time will vanish! Our B&B is powered by the Blue Planet, a 56 panel solar grid tied system. All 4 guest rooms are located on the second floor. All rooms feature: A/C, Private Baths, Solar Hot Water Showers, Satellite TV, and free wifi. Guests also enjoy a rotating full breakfast every morning from 7am-9am, and unlimited access to our butterfly garden. We are also proud to announce the opening of our micro-brewery, Butterfly Brewing Co.!! A small brewery located behind the butterfly gardens where we make 6 different craft beers and 2 natural sodas. All of our beers and sodas can be found on tap downstairs in our Bar/Restaurant Clandestina. Open Tuesday-Saturday 12 noon-9pm. We invite you to come stay with us. Let our bed and breakfast become your home away from home. 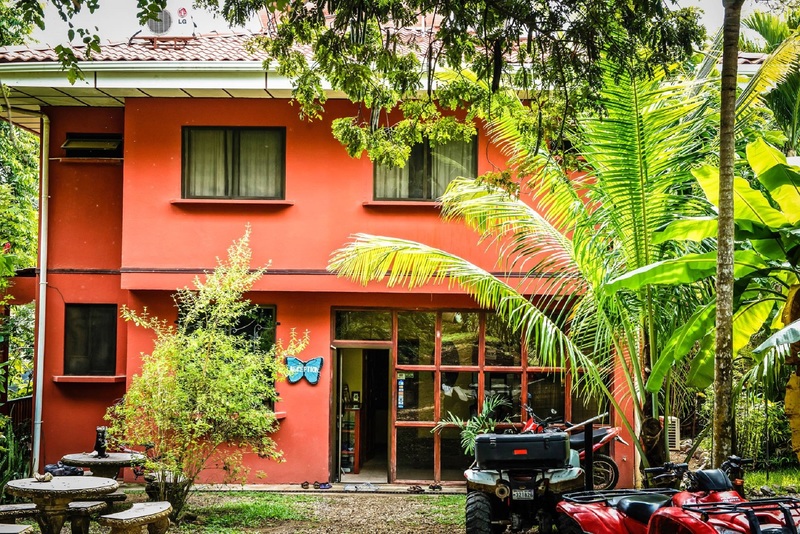 We guarantee you will quickly forget what day it is and we predict that you will leave here happy, relaxed, and wanting to return to Mariposario Montezuma Gardens.